Well, we've had a fun couple of weeks. 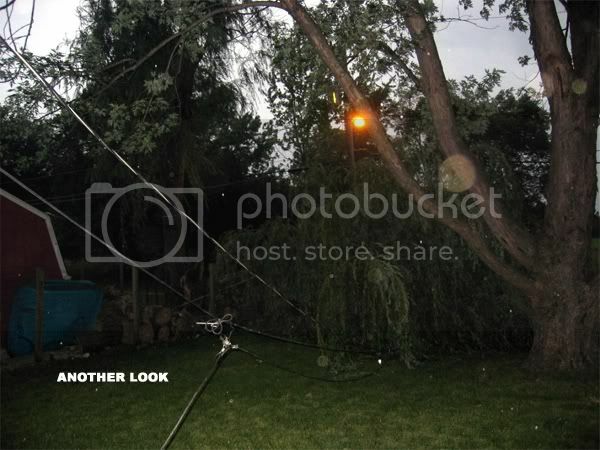 Mom and Dave have been helping me put up a fence in the backyard, and no sooner do we get it done than thunderstorms and high winds come through. 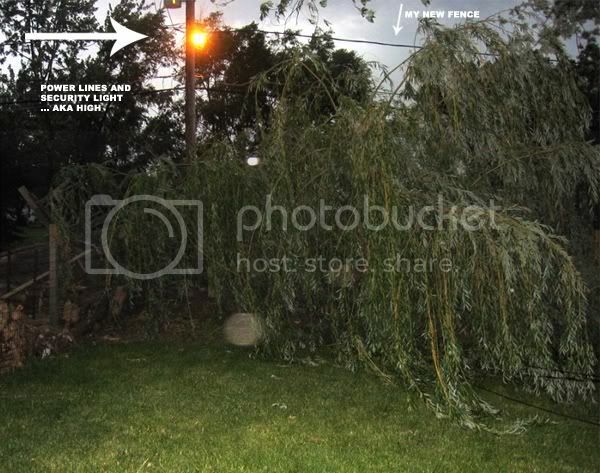 On Monday night, we had some pretty gusting storms go through, and my neighbors willow tree decided it was finally time to split in half and topple over ... into my yard. 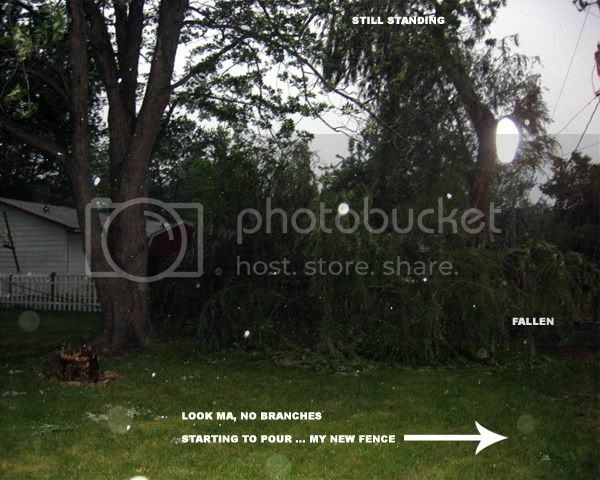 Luckily, it missed the fence. 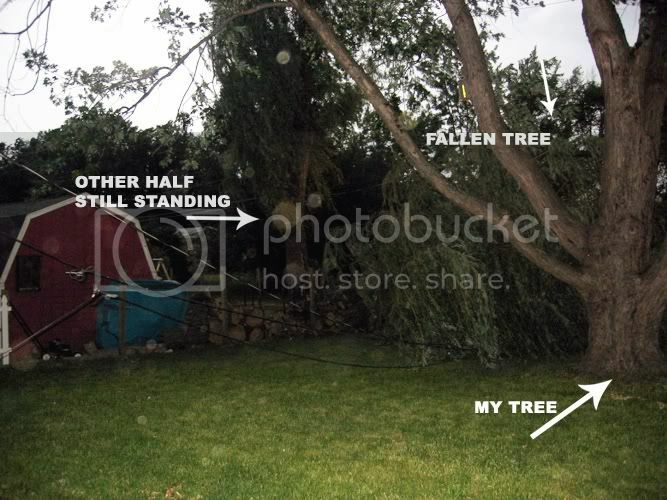 This tree was probably 40 years old, was rotting (my neighbor knew this as he had already cut down the other one in his yard, he just hadn't done this one yet since the power lines run to their house in the 'V' of the trunk), and the trunk branches into two trunks in a V about 4' off the ground. 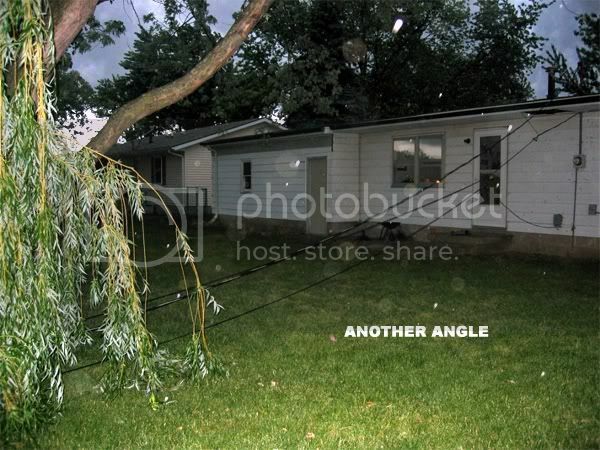 So it was maybe 25' of tree toppling over into my yard. Argh. I was reading by candlelight for a while, but the weather had mostly calmed down, so I went to bed around 11pm. Plus, at that point, the automated system for the power company was saying 2am before power was restored. 4am the power company guys arrive to start using their chainsaws on the tree!! When I called the power company from work, they said it looked like they were planning to have it restored by 2pm. I don't know when it came back on exactly, but it was back when we got home. The cable lines were still on the ground though, so I called them and they came out to fix it very quickly. However, this morning my internet was back down. So odd. I didn't turn the TV on, so I don't know if it is all of my cable or just the internet. 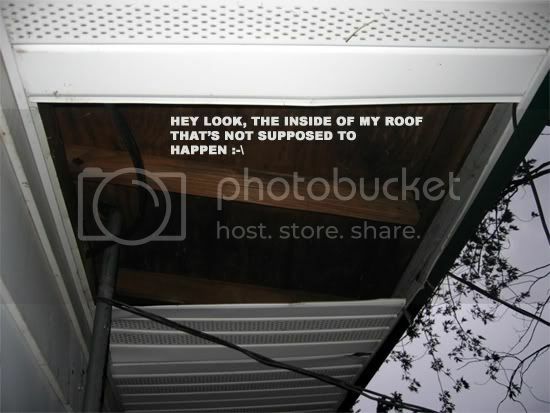 I had 3-4 pieces of the underside of my eave ripped off, but I fixed those last night. My neighbor had family over to help him cut up and haul away some of the tree. There is still quite a lot there though. Here are the pictures I took. 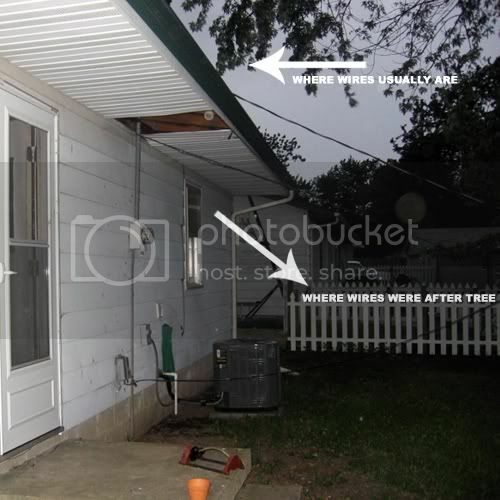 It's hard to see things if you've never been in my yard. 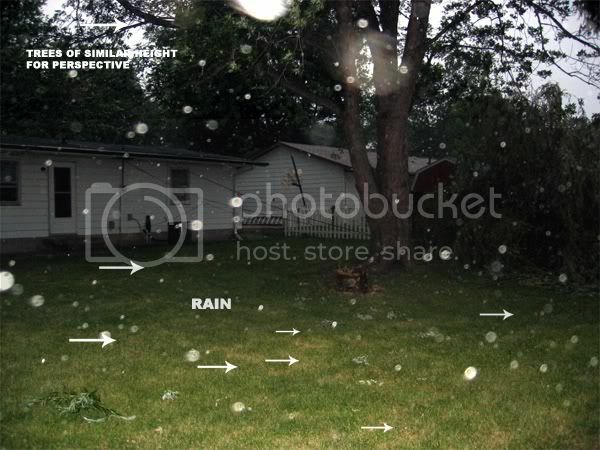 Hopefully, you can get the perspective from the other trees.